Asombro Institute for Science Education - Give the Gift of Science! Help students experience the wonder of science and the desert! The Asombro Institute for Science Education increases K-12 students' science literacy by providing engaging, place-based programs for more than 22,000 local students each year. 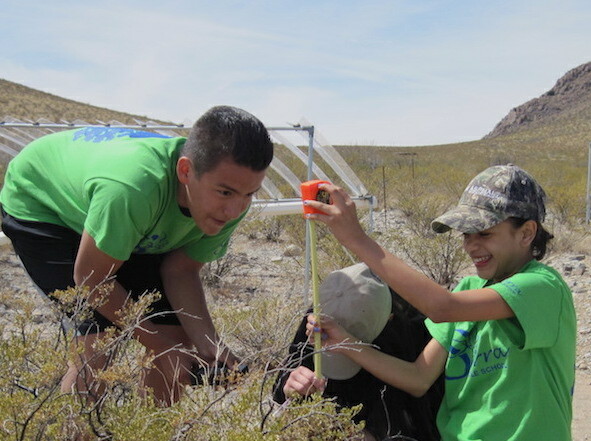 These programs enhance students' excitement about learning, their understanding of science, and their awareness about the unique desert ecosystem. After participating in Asombro's award-winning programs, many students begin to consider careers in science, technology, engineering, and math. As a small nonprofit organization, our success depends on the generosity of donors like you. Asombro's award-winning programs garner numerous competitive grants, but a critical piece of our fundraising puzzle is the 25% of our funding that comes from donations. These donations come from you and other members of the community who believe in the value of quality science education programs. Donors, including every member of our Board of Directors and staff, believe that our children's education is worth our investment. Asombro is a careful steward of all funds, ensuring that more than 90% of income goes directly to programs themselves rather than to fundraising or administrative costs. Great work - look forward to many more years of your wonderful service to the community. So many children have enjoyed and approved! Supporting science education is an investment in nature. Thanks as always for all of the amazing work you do! !